Visit Alola for Pokémon fun, from the beaches to the mountain peaks - and discover new traditions and new challenges! Meet the island guardians Tapu Koko-GX and Tapu Lele-GX, and sharpen your skills with Kahuna Hala and Captain Mallow! 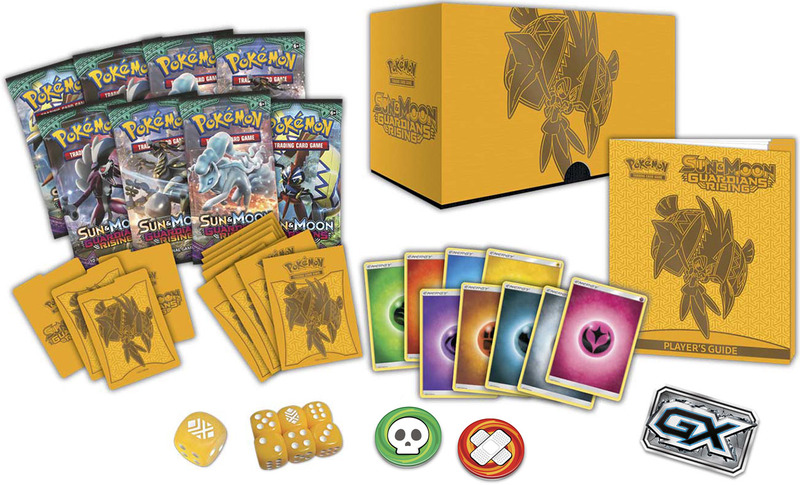 Be amazed by the secret powers of Kommo-o-GX, Lycanroc-GX, Metagross-GX, Sylveon-GX, Toxapex-GX, Vikavolt-GX, and many more! Come to the islands, and seize the power of the Pokémon TCG: Sun & Moon - Guardians Rising expansion!